Bexhill Cricket Club is ‘on the right lines’ according to coach Hamish Russell, despite losing its first two competitive games of the season. 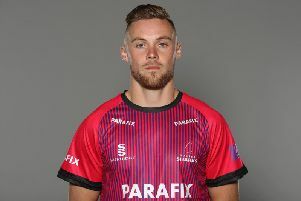 The Polegrove-based outfit was beaten by 71 runs away to Mayfield in its opening Sussex Cricket League Division Two fixture last weekend having lost to the same opponents in a Gray-Nicolls Sussex T20 Cup tie the previous weekend. For a report on the league game click here. Russell said: “I’ve seen enough to think we’re on the right lines here. We’re 30 or 40 percent away from where we want to be, but we’re getting closer every game. “Some individual performances still need to come through, but it’s a case of waiting for that one game where it all comes together and I don’t think that’s too far away. Bexhill will return to The Polegrove tomorrow (Saturday) to face Chichester Priory Park in their first home league match of the summer. “We’re genuinely looking forward to Saturday,” continued Russell. “Hopefully we can get a wicket that’s good to bat on. If we can get some runs this week, that will really give us some confidence with the ball as well. I’m confident that we’re going to do that. Bexhill were playing two levels above Chichester last season, but their relegation from the Premier Division and Chichester’s promotion as champions of Division Three (where their opponents included Bexhill’s second team) has brought them together this term. Ian May is likely to return, possibly in place of James Walker, who was injured against Mayfield. Tomorrow’s game will get underway from 12.30pm at The Polegrove.